surviving the experiences as a better, not bitter human being. 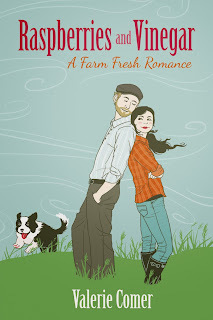 Breaking ground with the Farm Fresh Romance series, in RASPBERRIES AND VINEGAR Josephine Shaw and her two friends renovate a dilapidated farm with their sights set on more than just their own property. However, transforming the town with their sustainable lifestyle and focus on local foods is met with more resistance than they expected, especially by neighbor Zachary Nemesek. Jo needs to learn that a little sweet makes the tart more tasty. Zachary graduated from Veterinarian school with honors, but it isn’t so easy to find a job when he’s fired for failing to excel in a relationship with the boss’ daughter. He goes home to the farm to help out when his dad is hospitalized, and takes a very temporary position at the animal clinic in town while the doctor has a surgery. But he dreams of a city job, carrying for pets, not large farm animals. Everything that can go wrong possibly can. Jo and Zach couldn’t be more different. When tragedy after tragedy occurs, will they draw nearer each other—or continue pushing each other away? RASPBERRIES AND VINEGAR is a book I wanted to read for sometime, but due to circumstances beyond my control, I had to wait. This book was every bit as good as I expected. The formatting was a bit off, making some of the conversations a bit hard to follow, especially in later chapters, but otherwise, it was a great book. I wondered what it would take for the two selfish main characters to see beyond themselves and see what God plans for them. I can’t wait for book two, Wild Mint Tea, coming in Spring 2014. If you are looking for a great romance from a new voice, then RASPBERRIES AND VINEGAR is the book to pick up. Available in print $14.99 and ebook $.99. 345 pages. 4.5 stars. A feisty young female artist with a secret past battles to establish her own gallery in gold-rush era San Francisco. 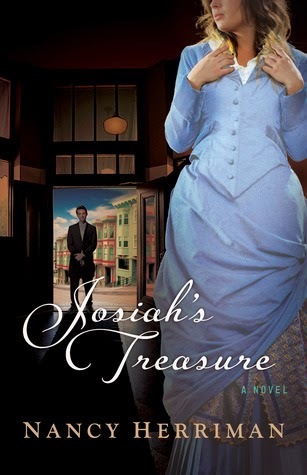 JOSIAH’S TREASURE is a historical about a strong working woman who nursed Josiah Cady until his death. She inherits all his assets, but stands to lose them when Daniel Cady arrives, claiming to be Josiah’s son and legal heir. The writing is good. Ms. Herriman has penned a good story. However I never did connect to the characters the way I would’ve liked. I didn’t particularly care who won the fight over Mr. Cady’s money. I was able to easily predict how the book would end. I didn’t find any surprises. $14.99. 310 pages. Dex Stanton has never had much time for book learning. He's been too busy helping to provide for his family. Now that he's heading west, Dex is hoping to start a family of his own. However, his attempt to acquire a mail-order bride fails miserably when the lady writes back ridiculing his terrible spelling. Rachel Oliver may be the last person he wants to know what a dunce he is, but she's also the smartest woman in town--and it's clear he needs her help. Rachel Oliver has lingered in town for three years secretly mooning over Dex Stanton, but now she's done. If the fool wants to write to a mail-order bride company, so be it. Once she begins giving Dex lessons, however, Rachel realizes she may not be prepared to give up just yet. LOVE BY THE LETTER is a companion Christian romance novella to A Bride for Keeps, Melissa Jagears's full-length debut novel available fall 2013. Includes an extended sneak peek at A Bride for Keeps. 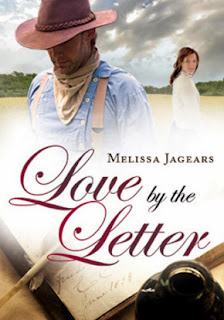 LOVE BY THE LETTER is a totally cute novella. Dex has loved Rachel for a long time, but she is smarter than he is, and would never have him, especially since she has plans to go to college. Rachel has always loved Dex but he is planning on marrying a mail-order bride. Is there any hope they’ll discover the depth of each other’s love before it’s too late? 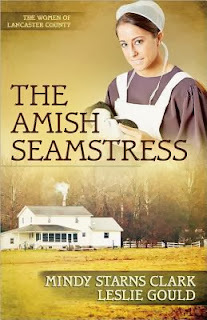 AN AMISH SEAMSTRESS is book four in The Women of Lancaster County series by this talented dual. It is written in Mindy Starns Clark’s distinctive style, more telling than showing, but as a reader I don’t seem to mind. I fell in love with Zed just as much as Izzy did. He is a dear. Izzy is a talented seamstress and caregiver, much in demand as both. I enjoyed getting to know much of these characters. Fairly predictable, but still a great read. 4.5 stars rounded up to 5. $13.99. 368 pages. What happens when the promise to protect and serve forces a police officer to do the unthinkable...? Police Officer Ashley Walters is being stalked. Her wedding plans are interrupted by an attack on her fiancé, and a detective is shot protecting her. Ashley is forced to flee for her own safety and the lives of those she loves. Ashley finds refuge in a Mennonite community in Shipshewana, Indiana. But even in a peaceful town among gentle people she cherishes, danger stalks. All she has left is faith. But when faith fails, what survives? NOWHERE TO RUN is the second book in the Place of Refuge series. I strongly recommend reading the first book in the series, Hiding in Plain Sight, first as the story doesn’t really stand alone. I would also recommend reading it soon before picking up this book so you remember what happens. I read the first book quite some time before and as a result, I was a bit lost. Ashley is a police officer, but when she learns she’s being stalked she gets paranoid and forgets all her training. She is trying to remain calm, but she isn’t turning to God, she’s turning to self until everything else fails. Her friends did point her to God, but it’s like her faith was nonexistent. The romance is settled in this book as Ashley and Patrick are planning their wedding, so it is not a boy meets girls suspense, but instead one with an unmarried couple, in Mennonite country. It isn’t edge-of-the-seat suspense (good, because I scare easily), and I didn’t have any idea who stalked Ashley or how they’d catch him until the end. Readers who love suspense coupled with the simplicity of the Mennonite life will eagerly devour book two in the dramatic Place of Refuge series. $13.99. 352 pages. Peter Cassels-Brown is currently owner of Mountain Woodworks/Green Mountain Renewable Energy, A custom design building renewable energy company in Bristol, Vermont. He studied solar design at the University of Vermont and went to Woodbury College for graduate studies in mediation. He currently lives in Bristol with his two children. THE KEY is about finding that key, and freeing youself of your chains. It is about the alchemy of changing tension, anxiety, and stress into happiness, health, and prosperity. It is a compact manual for the human spirit, containing wisdom to help you realize your dreams. To discover one’s own true nature as a creator is to know the joy of an expanding universe in one’s heart. We need a critical mass of people to reach this place of creativity and positive responsibility if we are to live in a world where creativity is the name of the game, and we are working together on a global scale instead of against each other. Throughout my life, I have constantly been told that I was either too young or too old to achieve a goal that I had set for myself. With determination, sacrifice, and a total commitment to achieve success, I have been very fortunate to complete over 160 marathons after I reached my 62nd birthday. Running over four thousand miles of competitive races in my mid-sixties has been a goal that very few people expected me to do. More important is the fact that I take great pride in helping others to begin their walking and running programs. 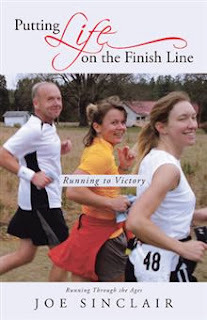 The book Putting Life on the Finish Line offers personal secrets for success, tips, and tricks, nutritional and fitness plans, pre-race plans, and inspiring stories for others to enjoy. Joe Sinclair has had an education career that spanned more than forty-five years. the Year. He and his wife, Claryce, live in Statesville, North Carolina. his late sixties and details how he achieved his running goals. achieve his very first marathon finish. shows that personal health and fitness is attainable at any age. When author Joe Sinclair turned sixty-two years old, he began his quest to run as many marathons as possible. Less than five years later, he has logged more than four thousand miles, participating in more than 150 marathons. In his memoir, Putting Life on the Finish Line, he tells his life story from his early years through his late sixties and details how he achieved his running goals. Sinclair shares running’s rewards and challenges—crossing the finish line at the toughest marathon in America run entirely on asphalt; completing three marathons in three days in the hot July weather; fighting off attacks by vicious dogs during a lonely, rural, mountain marathon; and helping a struggling young marathoner achieve his very first marathon finish. Offering personal secrets for success, tips and tricks, nutritional and fitness plans, pre-race plans, and inspiring stories, Putting Life on the Finish Line provides encouragement for those who believe they are too old to accomplish a dream. It shows that personal health and fitness is attainable at any age. Answer Question # 7 to be entered into the giveaway. Include contact information. 1. What is your current work in progress? I am finishing my fourth book, Plain & Simple a romance about a recently widowed middle-aged mother who must pull up stakes from her home for financial reasons and relocate to an Amish farmhouse she plans to turn into a B&B that was owned by a recently widowed young Amish man who lost his entire family in a buggy accident. 2. What would be your dream vacation? I would love to go to Switzerland, Germany, Italy, France and England. Switzerland because Heidi was my favorite book as a child and I’ve always wanted to see the Alps. Germany so I could tour the Neuschwanstein Castle in Bavaria (the one that Disney modeled their Cinderella castle after), Italy so I could eat my way through the country and kiss under the bridge of Sighs at sunset, France for the romance of it and England to have a proper high tea! 3. What are your hobbies, besides writing and reading? I used to ice-skate, do crafts, sew, and scrap book but as a working adult I no longer have any time for any of that even though I miss it. I’m hoping there are ice-rinks in heaven! 4. What is your most difficult writing obstacle, and how do you overcome it? Logical consistency and continuity. I write in fits and starts with gaps in-between and don’t often remember what came before. I’m also a Type A personality (the kind that doesn’t like to read instruction manuals) so I have a tendency to just want to get the main thought/theme down on paper on not bother with the minutiae that makes the story logical. 6. Is there one particular message or “moral of the story” you hope readers walk away with? I went from being a non-religious Jew to becoming an instant believer as a result of responding emotionally to the tv movie Jesus of Nazareth in 1977. I was inspired to write The Victor with the goal of reaching unbelievers with the message of God’s redemptive love for us as a medieval love story. It doesn’t beat people over the head but by-passes their mental objections by connecting with their heart through their emotions. Since the main character, Joshua, represents our Savior and is the protagonist, he is the one the reader will most identify with and perhaps see things from his perspective. My hope is that this will then translate into real life when the reader realizes how much they are loved and what he did to redeem us. 7. What one question would you like us to ask your readers? Who is the one person in your life you have the most difficulty sharing the Gospel with and why? 8. Tell us about the giveaway you’re offering. 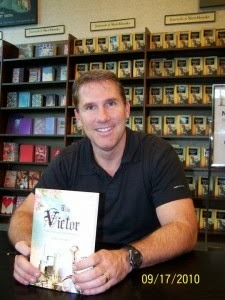 I am offering an autographed, paperback copy of The Victor to one of your blog followers and another personally autographed copy as a gift to that person’s friend, acquaintance or relative as a gift who they are trying to reach with the Gospel. 9. How did The Victor get started? It all began 30 years ago while I was listening to Amy Grant’s second album, “Father’s Eyes”. The song “fairytale” was playing and when I heard the verses: “two princes wage the battle for eternity but The Victor has been known from the start” I got a mental picture of Satan and Christ as knights locked in mortal combat which would decide the fate of a maiden in distress who represents the bride of Christ. I began to write the story in my spare time at work on a typewriter (this was years before computers). Shortly after I began to write, I asked the Lord for a confirming scripture that the idea had come from Him and was immediately led to Psalm 45. Not knowing what it said, I looked it up and was absolutely stunned to read the first verse: “My heart overflows with a good theme; I address my verses to the King; my tongue is the pen of a ready writer.” It could not have been more perfect. The rest of the Psalm describes the wedding of the King to his bride which I use almost in its entirety at the end of the book. 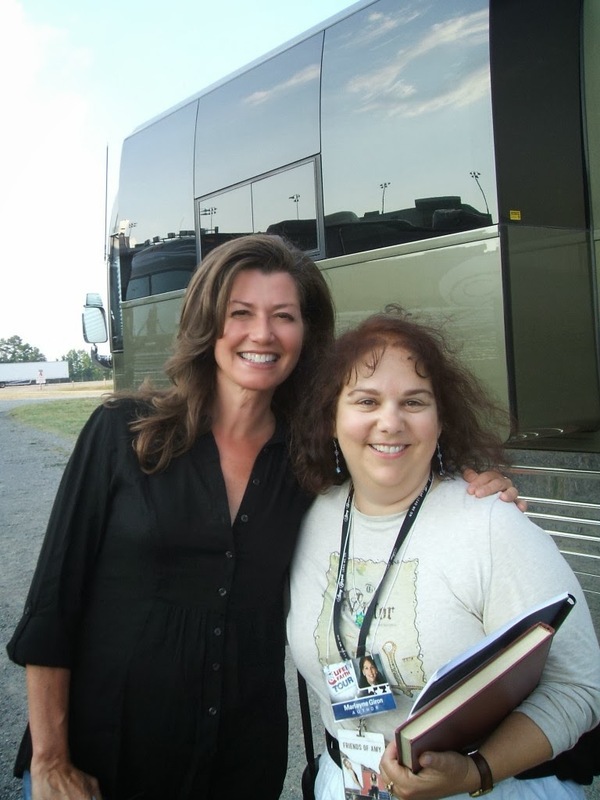 In the summer of 2009, I was finally able to meet Amy Grant in person and show her the book that her song had inspired. 10. Tell us about your research process. It’s funny, people often assume I have done a lot of research for my books when I actually haven’t since I don’t have the luxury of free time since I work a 40 hour week. For The Victor, I happen to love the medieval genre and watched a lot of swashbuckling movies and am a big fan of Tolkien and C.S. Lewis so those resources helped in terms of setting the stage for my book, so to speak. I also had a book entitled “Life in a Castle in Medieval England” that I referred to but if I really described how things were in a historically accurate way, the reader most likely would have been turned off (especially when it came to what they ate and personal hygiene. For instance, when a knight was knighted, the nobleman did not tap his shoulders with the sword but whacked him with the flat of the blade as hard as he could. It was the knight’s job to withstand the blow and remain upright! 11. How do you choose between ideas you’d like to write about? I write/create best from inspiration. Sometimes an idea will just pop into my head. Except for my third book, In Plain Sight, which I was tasked to do, I believe that both The Victor and especially Make a Wish were divinely inspired ideas. I’m not sure what the Lord’s plans are for them but I do know that people have been blessed by them because I’ve heard from them! 12. Where can readers find you online? My blog: www.psalm451.net; my book website: www.thevictorbook.com, Facebook: https://www.facebook.com/marlayne.giron Twitter: @thevictorbook. To find my books on Amazon, just search on my full name. A benevolent King; ...his sword of power; ...a ruthless traitor bent on revenge; ...and the faithful son who stands in his way with the woman destined to share his throne. Who shall emerge as the victor in this epic struggle between good and evil to govern the lives of hapless men? THE VICTOR is the first book I’ve read by Ms. Giron—and she tells me that this book, THE VICTOR has been rewritten and she is seeking traditional publication with it. I wish her the best of luck in her search. 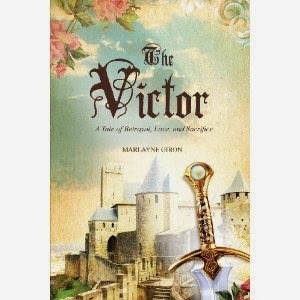 THE VICTOR is a fantasy adventure with a Medieval setting. It blends the evil darkness with the light of hope and goodness. The reader follows the hero as he matures from a young boy to the being heir to the throne. But things don’t go smoothly. There is, of course, a villain who is prepared to take it all the way—and the hero is forced to make an impossible choice to save the kingdom. This is a biblical allegory, but it isn’t preachy or obvious. 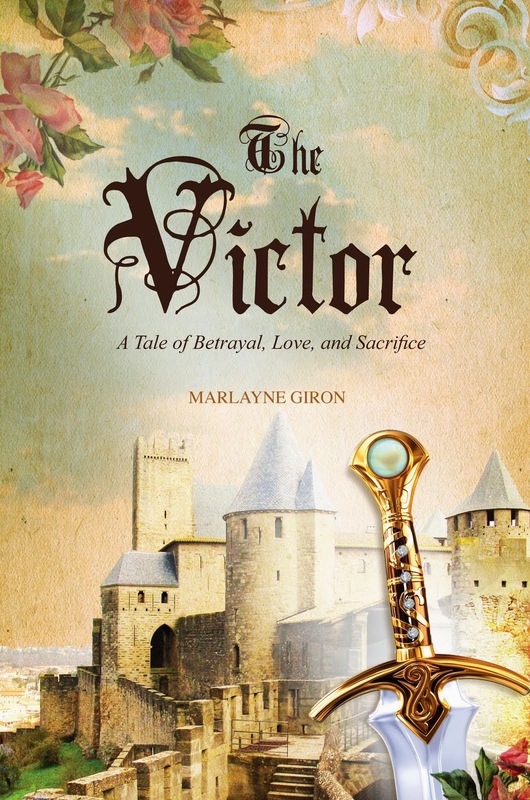 Fans of fantasy, biblical allegories, or Medieval books should love THE VICTOR. Available now with Tate Publishing in both print and kindle. Or you can wait for the new version, hopefully coming soon. $16.99. 276 pages. Marlayne Giron is a wife and mother living in Southern California. She currently works as a full-time administrative assistant and enjoys cooking for her family every night, scrapbooking, making high teas, and entertaining. At the age of 22 (In 1982) Marlayne was inspired to write The Victor by a line in an Amy Grant song called: "Fairytale" (from her Father's Eyes album). The particular verse in the song which inspired the idea was: "two princes wage the battle for eternity but the victor has been known from the start". The verse made her imagine an evil "Baron" in black armor and knight in shining armor crossing swords over "maiden in distress". She wrote the story in her free time at work on an IBM Selectric typewriter and at home on a Smith Corona Portable. Marlayne rewrote the story over the course of almost 30 years and made many attempts to get it published for several years but after a 4-year bout with ulcerative colitis that resulted in major surgery, then infertility then the adoption of her daughter and the demands of having to work full-time to pay the bills, she gave up on her dream of The Victor ever being published until April of 2008 when Tate Publishing called to offer her a contract. The Victor was released on April 14th of 2009. 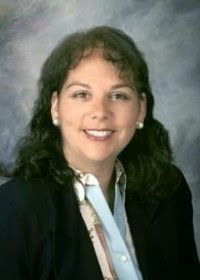 As a direct result of her former employment with John Styll at CCM Magazine 28 years ago (who was President of the Gospel Music Association at the time of the book’s release), she was able to connect with Amy Grant who personally autographed Marlayne’s copy of The Victor. Through a dear friend and her agent, Mary Fields, Marlayne was also able to finally meet Amy Grant in person at the Life & Faith Concert Tour in 2009 in Richmond, VA.
Nicholas Sparks was also kind enough to pose with a copy of the book at one of his own book signings as well as Lisa Welchel (Blair from The Facts of Life TV show). As the holiday season is often a time for reflecting upon God’s gifts and blessings, the ministry team at Kingdom Racing has more than its share for which to be thankful. With the team’s first race wins in Detroit and Baltimore and a 3rd place finish in the season standings by Simon Pagenaud of Schmidt Hamilton Motorsports, there were even greater accomplishments for the Kingdom of God. The ministry completed its second full season of INDYCAR competition and sixth of overall involvement in motorsports. More importantly, it wrapped up two full seasons hosting Miles of Smiles guests and sharing the Gospel with thousands of racing fans. The team rolled into St. Petersburg, Florida to open the 2013 season in style with its new hospitality unit that God provided for use as His home on the road. It was here that the 2013 Miles of Smiles campaign began with our first of many hosts and nominated guests, all of whose lives were certainly affected by the ministry. A father and son became Kingdom Racing fans for life after spending the day as VIPs and hearing various personal and team testimonies. A young man confined to a wheelchair spent some one-on-one time with Sam Schmidt at the Grand Prix of Alabama and was shown that anyone, regardless of their condition, and with their faith in God, could succeed in life. In Long Beach, two young men beginning their Christian walk witnessed a practical application of Christianity and a grandfather experienced Christ’s love in action. Kingdom Racing also teamed up with Ray Comfort’s Living Waters Ministry as the gospel was shared through infield ambassadors at the track. With more Miles of Smiles ministry in Detroit, Texas Motor Speedway, Milwaukee, Baltimore and Houston the season came to a close in Fontana, CA. It was our final but perhaps the most poignant moment of the year. Nominated by one of the ministry’s most fervent church partners in the Southern California area, Kingdom Racing hosted a family with a son who has severe learning and social difficulties that affect his life. Not only did he open up at the track, but what happened to close out the night served as a perfect reminder of what the ministry is all about. Indianapolis is the highlight of the year for Indycar teams and fans alike and it was no less so for Kingdom Racing. The team hosted four Miles of Smiles families and staged the inaugural Kingdom Racing Indy TrackFest that featured the Give Me Jesus Tour with musical artists Building 429, Finding Favour, The Rhett Walker Band and Carlos Whittaker who all rocked the crowd with the message of Christ. Throughout the entire month, hundreds, if not thousands, were reached with the Gospel through Kingdom Racing. In the same hospitality unit that started the year in Florida, the young man, who could barely speak, broke out singing “Holy, Holy, Holy! Lord God Almighty!” with perfection as the crowds were leaving the track. So moving was the moment, the entire group joined in and sang along with him and his family – a fitting conclusion to a great season of racing and ministry. The 2013 INDYCAR season has long since come to an end and preparation for 2014 is already underway. Kingdom Racing has initiated a grass roots funding campaign for the 2014 season and welcomes anyone interested in motorsports and ministry. More information can be obtained atwww.kingdomracing.net . 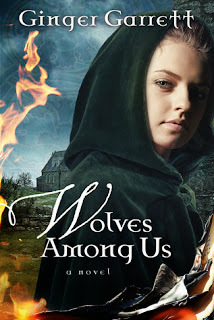 Anna loves the grandfather who raised her, but his strict adherence to the Ordnung is scaring away any boy who might be interested in her—except newcomer Jacob. In normal circumstances Anna Byler would have her choice of any of the young men in her Amish community. But because of the strict rules enforced by her grandfather, the bishop, the available suitors are afraid to court her. 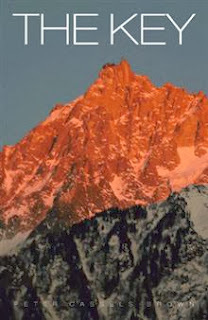 Then handsome Jacob Hostetler moves to Paradise and decides Anna is worth the challenge. Anna sees that the bishop’s legalism is dividing the community and risking the lives of its members—but her grandfather doesn’t. When she is forced to deception in order to pursue her dream of marriage and family with Jacob, Anna feels her own faith slipping. If only she could get her grandmother to help her stand up to the bishop. But Mammi is keeping secrets of her own. PLAIN PEACE is book six in the Daughters of the Promise series by Ms. Wiseman. While this book stands alone, readers and fans will probably want to read the rest of the series, Plain Perfect, Plain Pursuit, Plain Promise, Plain Paradise, and Plain Proposal. I have read maybe three or four of these books and they all stand alone—yet, the characters are all the same, so you will want to know the history of some of the families. Ms. Wiseman is a talented author, able to bring the characters to life. 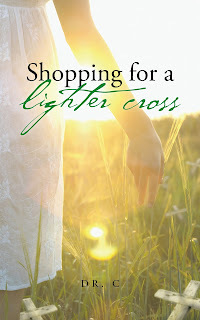 It was interesting learning about all the secrets that were kept in this community—with Mammi’s internet shopping addiction, Anna sneaking around and lying to see a boy, etc, but at the same time, the slow healing in Jacob’s family. I wanted to see these hurting families restored. 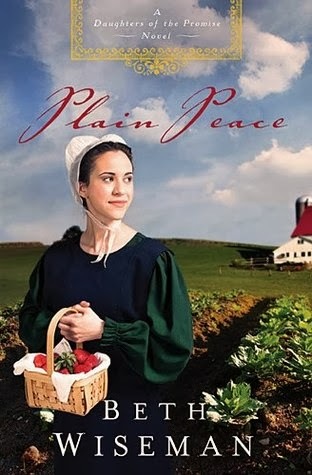 Fans of Amish fiction will want to read PLAIN PEACE or any of the other books in this series. $15.99. 320 pages. 4 stars. 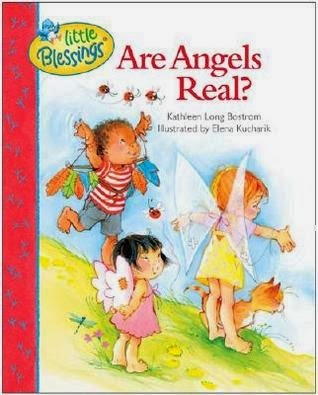 Kids want to know what's up with angels. From the best-selling Little Blessings line comes a fresh new book that is perfect for children up through five years old. With fun-to-read rhymes and colorful illustrations from Care Bears artist Elena Kucharik, this book is great not just for home but also for nurseries, Sunday school classes, preschools, and church worship settings. Scripture references provide a perfect tool for conversations with curious young minds. ARE ANGELS REAL? is a handcover book, beautifully illustrated, and Biblically correct book about angels. Written in a cute poem format, the book keeps children engaged with both the words and the pictures. Not only that, but each of the questions asked in the story are answered in the book, not only in a simple answer form, but also with biblical references, so if parents want to show children the exact verse and reference (or in case they want to know theyselves) the answers are there. How great is that? My two little girls give this book five stars and declared it a keeper. I agree. Great book. Awesome for Christmas (when people think more about angels) or anytime. $9.99. 80 pages. For ages 0 – 5. 5 stars. Ginger Garrett is the critically acclaimed author of Chosen: The Lost Diaries of Queen Esther, which was recognized as one of the top five novels of 2006 by the ECPA, and Dark Hour. An expert in ancient women's history, Ginger creates novels and nonfiction resources that explore the lives of historical women. 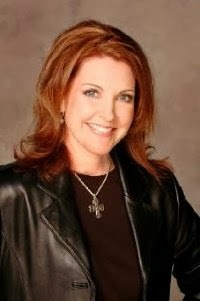 A frequent media guest and television host, Ginger has been interviewed by The New York Times, NPR, Billy Graham's The Hour of Decision," The Harvest Show, Fox News, and many other outlets. When schoolteacher Jodi Winfield goes for a morning run, the last thing she expects is to find a disheveled little girl all alone on the side of the Pennsylvania road, clad only in her undergarments, her chubby cheeks streaked with tears. Jodi takes the preschooler home with her, intending to find out where she belongs. But Jodi is mystified when no one seems to know of a missing child, and the girl herself is no help, since she can't speak a word of English. It's as if the child appeared out of nowhere. As the days pass, Jodi becomes increasingly attached to the mysterious girl, yet she is no closer to learning her identity. Then an unexpected opportunity brings Jodi to Hickory Hollow--and into the cloistered world of the Lancaster Old Order Amish. Might the answers lie there? 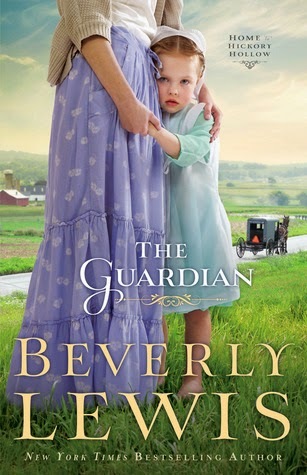 THE GUARDIAN is book three in Ms. Lewis’ Home to Hickory Hollow series, but it easily stands alone. This was kind of a hard book to read from a mother’s stand-point. I understand how the Amish mom accidentally lost her child—kind of—but why she didn’t hear her cry when she fell out of the buggy, I don’t get. It broke my heart when the girl’s mom lost the child of her heart. I wanted them to find each other. It was sweet watching Jodi learn to interact with a small child, especially when she’s so certain she doesn’t want children. It made me wonder if she’d change her mind and heal the rift between her and her fiancé. However, this was only the first several chapters. Then all is well with this little girl and the book turns into all about Jodi and school teachers--Amish vs. English. I give it 3.5 stars. Not my favorite Beverly Lewis book. $14.99. 352 pages. Cheri DeGroot loves writing letters and journals of her life. 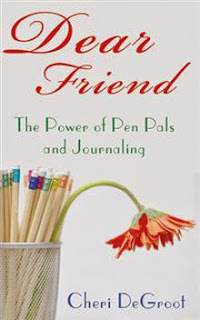 Pen palling helps her make new friendships by reaching out through written letters and by computer. DeGroot has initiated several pen pal clubs. She has three grown children and seven grandchildren and lives in Milverton, Ontario, with her husband, Joe. friends, and help others? The solution is simple and affordable—become a pen pal. pen pal and provides tips on sharing friendships through handwritten letters. about different cultures and different people. through the power of the written word. Interview with Bonnie Leon and Giveaway!!! !